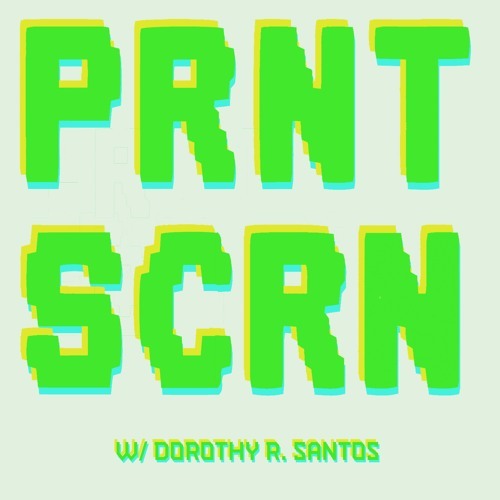 PRNT SCRN is a podcast hosted by Dorothy R. Santos about bridging the gaps between analog, new media, and digital art practices. The first official episode launches on artpractical.com on October 24th! Follow on: IG: @prnt_scrn_ap Twitter: @PRNTSCRN1 Dorothy R. Santos is a Filipina American writer and curator whose research interests include digital art, computational media, and biotechnology. Born and raised in San Francisco, California, she holds Bachelor’s degrees in Philosophy and Psychology from the University of San Francisco and received her Master’s degree in Visual and Critical Studies at the California College of the Arts. She is currently a Ph.D. student in Film and Digital Media at the University of California, Santa Cruz as a Eugene V. Cota-Robles fellow. Her work appears in art21, Rhizome, Hyperallergic, Ars Technica, Vice Motherboard, and SF MOMA’s Open Space. Her essay “Materiality to Machines: Manufacturing the Organic and Hypotheses for Future Imaginings,” was published in The Routledge Companion to Biology in Art and Architecture. She serves as a co-curator for REFRESH (in partnership with Eyebeam) and works as the Program Manager for the Processing Foundation.